1. Make sure that you have the latest version of iTunes. 3. Sign out and back into your Apple Music account. 4. 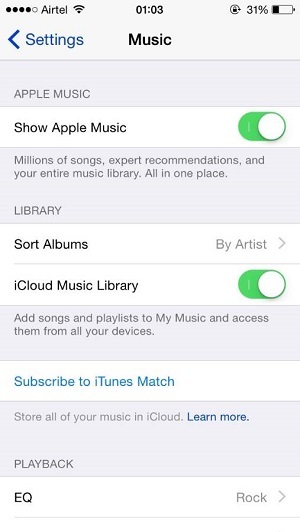 Then go to settings > Music and enable iCloud Music Library. Then click "Merge" when a message pops up. Alternatively, you can try to reset your device. But make sure that you've make backup of your device data before resetting. If the problem remains, please contact Apple to get help. 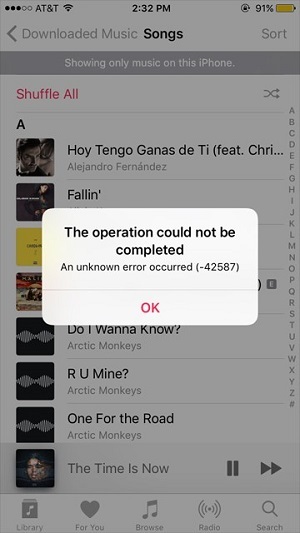 How to Fix "iCloud Music Library can’t be enabled" Error? 1. Go to "Settings" from the Home screen and tap "Music". 2. Toggle iCloud Music Library to "On". 3. Choose if you want to Replace or Merge your library. 4. If you get the error again, dismiss it. 5. Repeat steps 3-4 until it works.